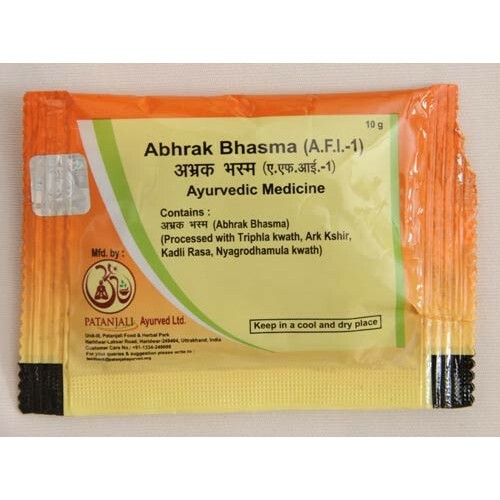 Abhrak Bhasma is a traditional and highly effective Ayurvedic formulation that assures you relief from chronic and incessant cough and weakness. Constant inhalation of pollutants weakens your lungs and find its way into your bloodstreams. This causes untold harm to your health. AbhrakBhasma heals the damages of pollution on your lungs, boosts the respiratory system and strengthens your health. Take AbhrakBhasma to experience the best of Ayurvedic healing in your life. 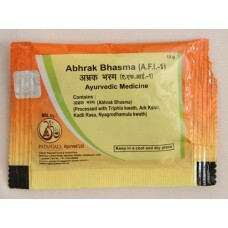 AbhrakBhasma is a traditional and highly effective Ayurvedic formulation that assures you relief from chronic and incessant cough and weakness. Constant inhalation of pollutants weakens your lungs and find its way into your bloodstreams. This causes untold harm to your health. AbhrakBhasma heals the damages of pollution on your lungs, boosts the respiratory system and strengthens your health. Take AbhrakBhasma to experience the best of Ayurvedic healing in your life.